Hasn’t the weather turned chilly? 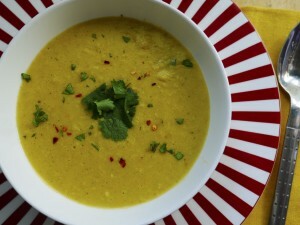 Frosty days and cold hands make me crave hot soups! 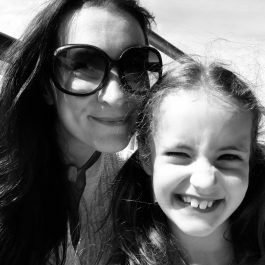 This is my current favourite, and it’s my first soup post on this blog. I have a thing about corn. I always have done – I love it in any shape or form! Tortilla chips. Corn wraps. Tamales. Popcorn. Fritters. Whole on the cob. Straight from the can. 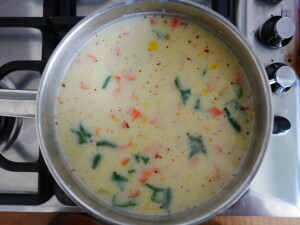 And now I’ve found a new way of feverishly getting my fix of the good stuff – I give you my Corn Chowder. 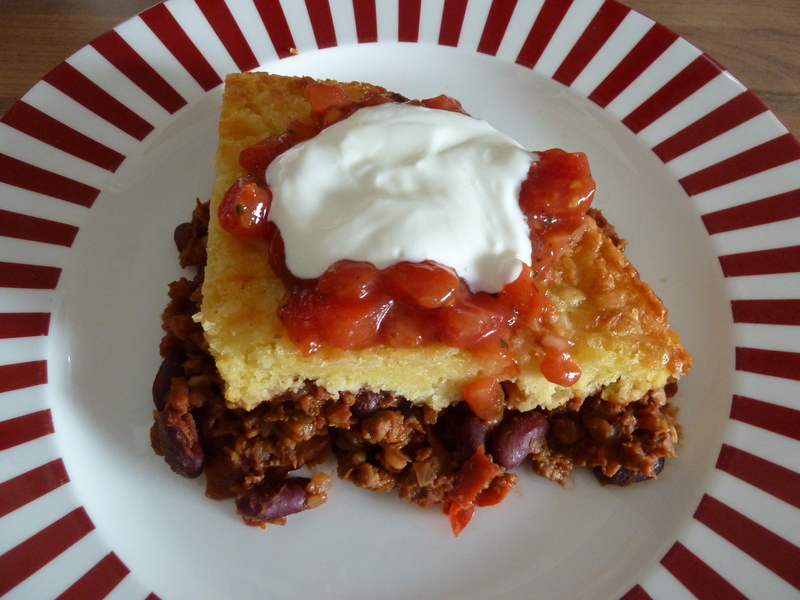 The first time I made this, I made it vegan as I had some soya milk that needed to be used up. You can make it with or without dairy – it’s not going to make any difference. Chowder is just a cool name for a thick, chunky soup. 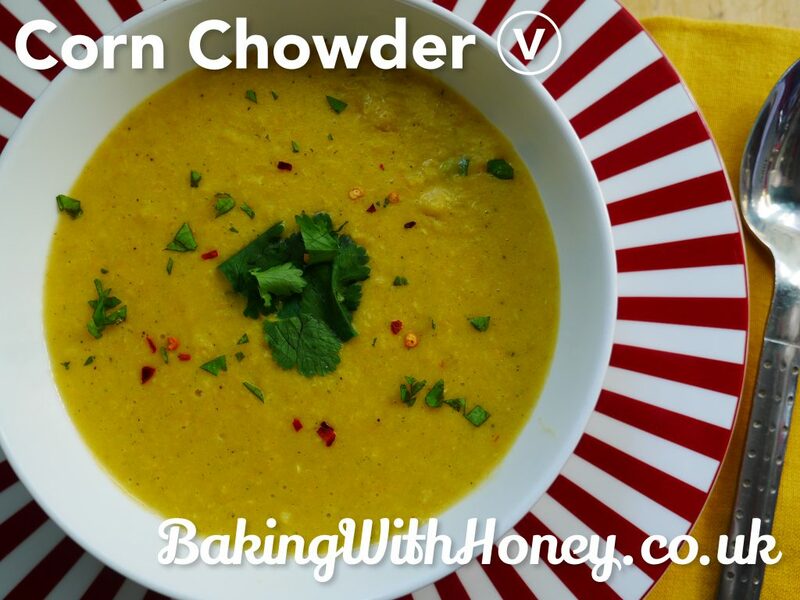 I like thick chunky soups a lot, and this one tastes awesome. This is also the first recipe where I’ve made use of the much maligned onion and garlic powders you always find gathering dust at the back of the spice rack. Treat yourself to some new ones and USE THEM! They are terrific for adding savoury notes to soups and sauces without affecting texture. I use the pure ones (not the ones labelled ‘onion salt’ etc) as I prefer to have full control over salt content. Chowders (corn and clam being the most famous) seem to have their origins placed in New England, where crispy bacon appears to feature as a standard soupy sprinkle. Now I like a ‘meaty’ gimmick as much as the next vegetarian/vegan, so if you feel the same way, track down a tub of those spooky vegan Bacon Bits/Crumbles (Sainsbury’s and Tesco sell a few different brands) and sprinkle away to your heart’s content, along with some chopped coriander and a couple of crushed tortilla chips for total corny heaven. Makes enough for 4 big bowls. 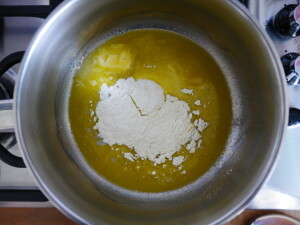 Over a low heat, gently melt the spread/butter and add the flour or masa harina. Stir together and ‘cook’ for a minute or two. This helps to get rid of the floury taste. 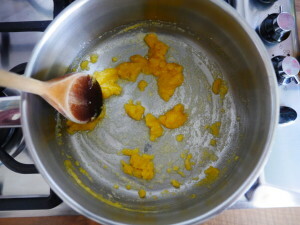 Add the water a bit at a time, while stirring continuously. 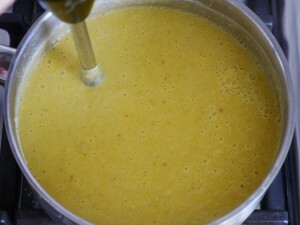 The mixture will thicken as it begins to simmer – this is your cue to add more liquid. Much the same as making a roux. When you’ve added all the water, add everything else except the milk and give it a stir. Partially cover and simmer very gently for around 20 minutes, stirring now and again, until the potato and carrot are tender. 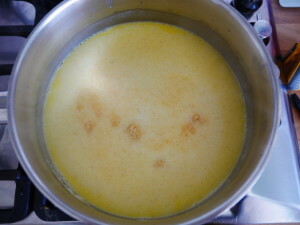 Stir in the milk and remove from the heat. Blend until you have a slightly rough, chunky texture (or go smooth if you that’s your bag) and serve with any of the toppings suggestions above. Any remaining soup can be refrigerated for a few days, or freeze in portions.